​What is this about !!!!???? ​Trump Challenges Dems on Kavanaugh Accuser's Admission That She Made It All Up: Where Are You on This? ​If Kavanaugh is ‘partisan,’ should we impeach Ginsburg? Lindsey Graham Just Called Out ‘Crying’ Chuck Schumer! Once again she divides - Hillary: Justice Kavanaugh Could Bring Back… Slavery! It's Over: Flake and Collins Agree Kavanaugh FBI Report Is Good as Democrats Leave Schumer's Office "Stone-Faced"
John Kerry makes INSANE comparison of Kavanaugh to Ted Kennedy KILLING a woman!! 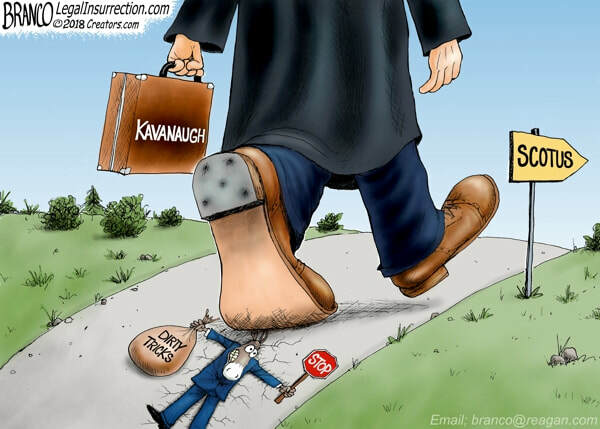 Red Wave Imminent: Democrats Treatment of Kavanaugh is Backfiring! No, Kavanaugh Shouldn't Withdraw. A Serious Look At The Allegations Against Him Shows Why. ​President Bashes Democrats' Attacks on Kavanaugh as a "Con Game"
Yes, this situation is ugly. Blame the incompetent Dianne Feinstein, who betrayed Christine Ford.